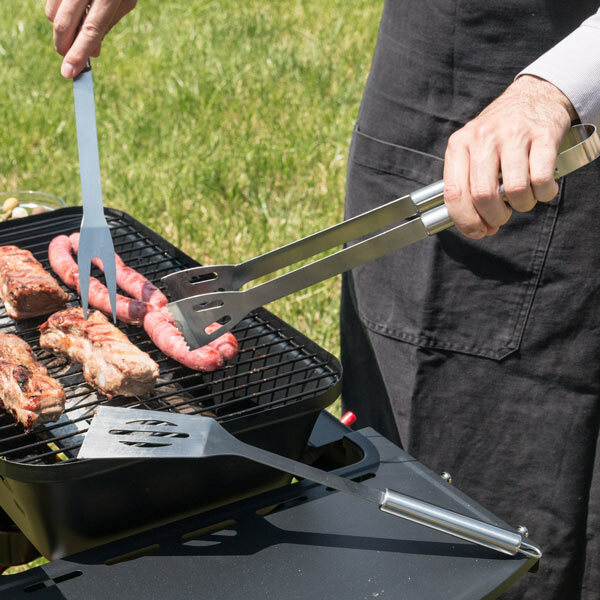 We present the BBQ Classics barbecue utensils (3 pieces) which are great for preparing the best barbecues, as they are perfectly sized for flipping, carving and holding meat without getting burned. 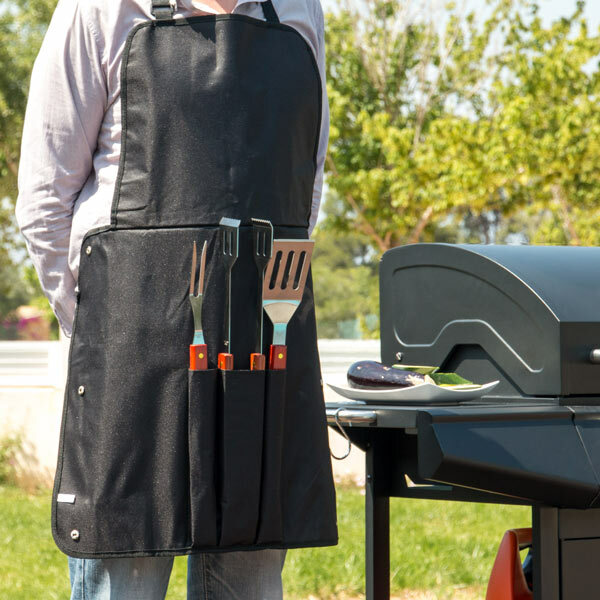 BBQ Classics barbecue utensils and apron, the complete set for preparing barbecues like a pro. The apron turns into a practical bag to conveniently hold and carry the utensils. 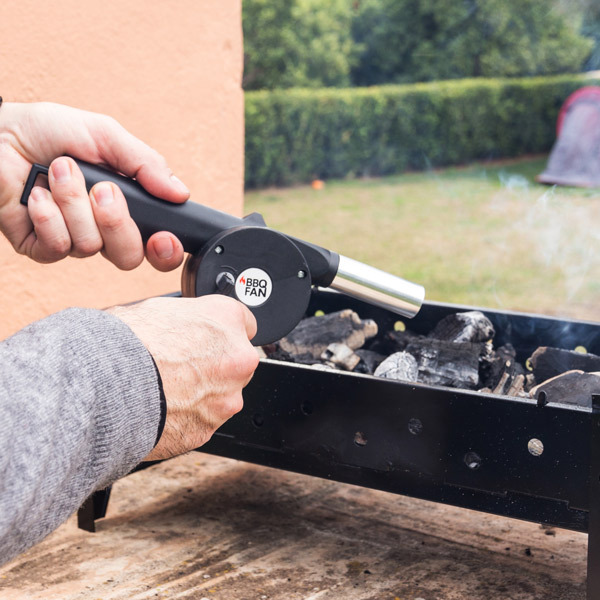 BBQ Classics pistol-fan for barbecues, very convenient and practical for stoking up the fire of barbecues. It is really easy to use, just pull the trigger for the air to be produced. 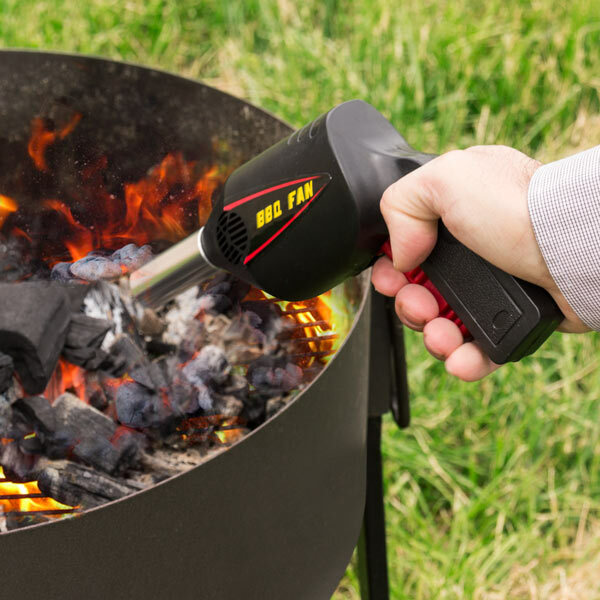 This barbecue air blower is very useful to keep the flame alive during your barbecue parties. It’s very easy to use as you only have to rotate the crank handle to start blowing air. Dimensions: approx. 8 x 25.5 x 8 cm. 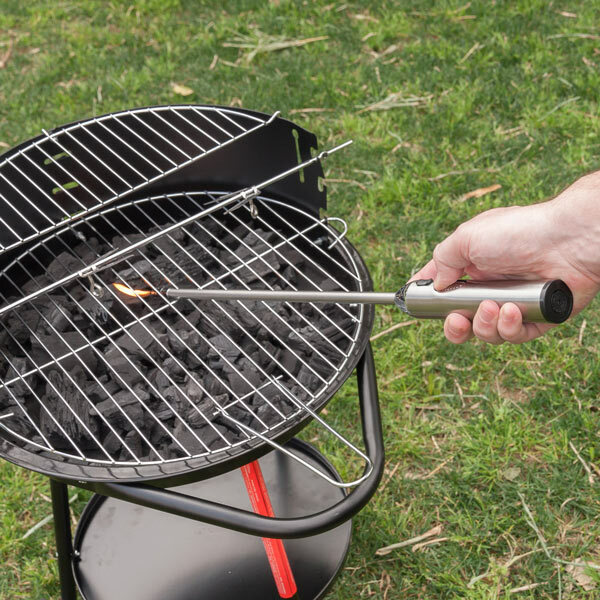 This manual barbecue fan has a small plastic hook for hanging. Made of plastic. This stainless steel lighter has a lock button, flame regulator and an on/off switch. It works with gas and can be refilled. Approx. dimensions (length x diameter): 55.5 x 3 cm. 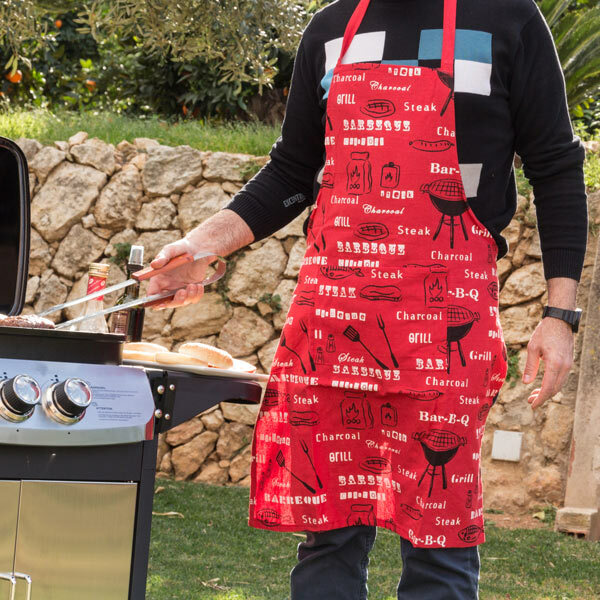 The original BBQ Classics barbecue apron with its unique design. Approx. dimensions: 60 x 84 cm.